We have multiple apartment buildings in the Danville area. Rent ranges from $495 - $875 month. Many of these units are within walking distance to the Lakeview campus. All buildings have off street hard surfaced lighted parking. Sunset Cove Located at 2200 N Vermilion St. in Danville’s north metro area. This fantastic community offers 1 and 2 bedroom lakeside apartments. Convenient location, all within a short distance to many retailers and restaurants. Along with current units which may be available now, we have many units in the process of being updated to level 2 fully renovated units. With newly renovated units available for delivery beginning late July. Contact us to schedule your appointment today or begin with filling out and submitting our tenant application, and we will begin to help you secure your residence. 9 Ridgeview Located in Danville’s north metro area. This fantastic building has undergone signifiacant updates over the last 1½ years. 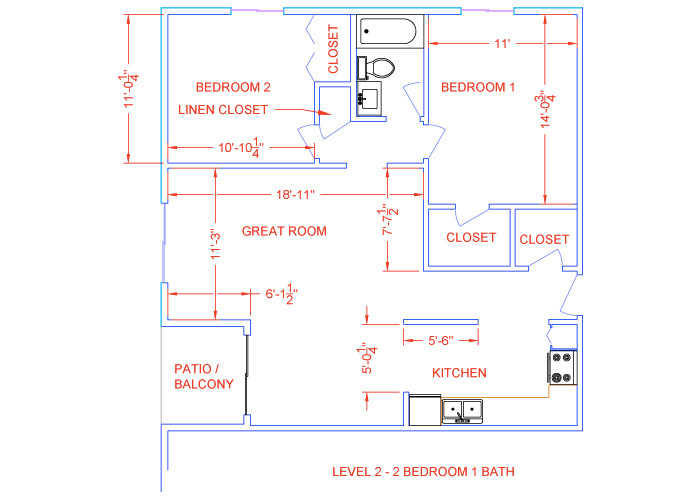 This 14 unit complex offers 1 and 2 bedroom executive apartments in a 14 unit complex. Open floor plans, large decks, updated kitchen appliances, granite countertops, laundry hook ups in each unit. One of the few buildings in Danville that has bedrooms large enough for king size beds. 3816 Sonny Lane is a fantastic building offering 1 and 2 bedroom apartments in the Bismarck School district. These units and the exterior building elevation are being totally renovated to like new condition. Expanded kitchens, counters with bar area, featuring Energy Star windows and doors, Anderson Sliding Glass doors leading to the decks & Patios. Glass Top Stoves, Energy Star Refrigerators, dish washers, and Wall mounted AC units, with over the range microwaves ovens. Six panel doors through out, lighted closets, cable ready with high-speed internet option, spacious bedrooms and private balconies, on sight coin laundry facilities and lighted off street parking lot. We have a few select units at this property set up as corporate apartments for stays of 30 days or longer. Contact us to schedule your appointment today or begin with filling out and submitting our tenant application through Heartland Properties, Inc., and we will begin to help you secure your residence. Renovation in progress, new open kitchen layout with granite high bars, appliances include glass top stove, built In microwave ovens, energy star refrigerator, dishwashers, and In the wall AC units. All units are equipped with rear patios or second story balconies, new enlarged bathrooms with one piece fiberglass shower stalls, 30" - 36" wide vanities with drawers, high efficiency elongated toilets, ceramic tile. Six panel doors though out, ceiling fans in both living room and bedrooms. Units have all been rewired with new coax cable to allow access to all Comcast services (satellite dishes are not allowed on the property). Common areas include Private Coin Laundry with locking mailboxes located in new laundry room, common area grill gazebo with gas grill. Lighted off street parking with Security Cameras located around the building. DANVILLE SERENITY AND CONVENIENCE! Nestled in Canterbury Court, these distinctively different apartments are rich in those features that make apartment living a step above comfortable. From new appliances, laundry facility on site, central heat and air, ceiling fans, additional storage space, car port, large, airy rooms, basic enhanced cable included in base rent, you'll find living at Canterbury Court relaxing and comfortable. 1216 N Sheridan � Heartland Properties newest acquisition - located in Danville's medical district, within walking distance of Lakeview College of Nursing and Lincoln Park with its many activities. 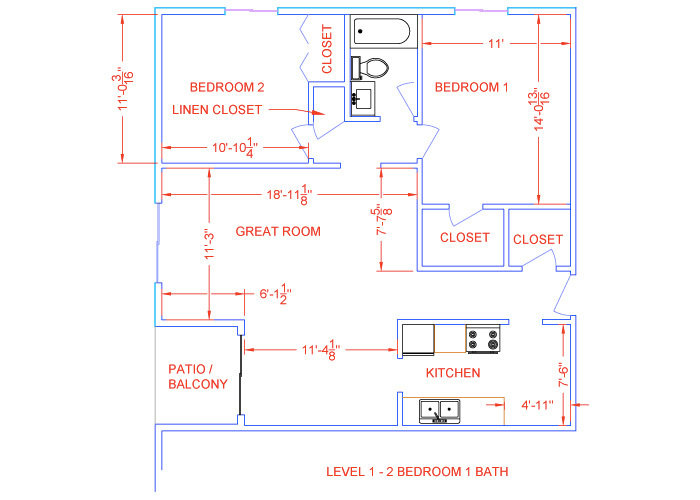 This fantastic building offers 1 bedroom apartments with open floorplans, new kitchens, bathrooms, and flooring. Beautifully renovated with energy efficient windows and Andersen sliding doors, window coverings, fiberglass insulated entry door, a/c, ceiling fans, and new appliances, cable ready with high speed internet option, spacious bedrooms and great closet space, private balconies, and lighted off street parking lot. 702 Sherman Located in Danvilles medical district, within walking distance of Lakeview College of Nursing and Lincoln Park with its many activities. This fantastic building offers 1 and 2 bedroom apartments. Our apartments are beautifully renovated and feature energy efficient windows and Pella sliding doors with window coverings, fiberglass insulated entry door, a/c, ceiling fans, and newer appliances, cable ready with high speed internet option, spacious bedrooms and private balconies, on sight laundry facilities and lighted off street parking lot. 2703 Jackson Located in Danville’s north metro area, within walking distance of the mall, restaurants, and quick availability to bus access throughout the city. This building offers 2 bedroom apartments. This building reflects some recent updates which include private balconies, on-site laundry facilities, and lighted off street parking lot. Renovation in progress, new open kitchen layout, appliances include glass top stove, built In microwave ovens, energy star refrigerator and In the wall AC units. All units are equipped with rear patios or second story balconies, new enlarged bathrooms with one piece fiberglass shower stalls, 30" vanities with drawers, high efficiency elongated toilets, ceramic tile. Konecto wood laminate type flooring in entry and kitchen ares, with plush frizze carpet in living room and bedrooms. Six panel doors though out, large closets, ceiling fans in both living room and bedrooms. Units have all been rewired with new coax cable to allow access to all Comcast services (satellite dishes are not allowed on the property). Common areas include Private Coin Laundry with locking mailboxes located in new laundry room, common area grill gazebo with gas grill. Lighted off street parking with Security Cameras located around the building. 1335 W. William St. is the ideal apartment for those who've been searching for something different. A private setting in the Danville Medical area, Single bedroom ranch style apartments boast new appliances, laundry facility on site, a/c, ceiling fan, patios, and off street parking. We are within minutes of shopping, dining and entertainment. At Heartland Properties, the advantages add up to convenient, carefree living! 910 Grant St. Spacious contemporary apartments feature 2 bedrooms, a/c, ceiling fans, private laundry, new appliances, off street parking and are conveniently located in historic Lincoln Park, Lakeview School of Nursing within walking distance, moments from Lincoln Park, shopping, and dining, on the bus line. Located in historic Lincoln Park District of Danville. Just a few blocks from the medical campus area, moments from Lincoln Park, shopping, and restaurants. New bathroom, new sliding doors, new 6 panel doors, appliances, new flooring though out, and much more. 1012 Pries is spacious contemporary apartments featuring 1 & 2 bedrooms, a/c, ceiling fans, coin operated laundry, new appliances, off street parking. 1013 Pries is spacious contemporary apartments featuring 1 & 2 bedrooms, a/c, ceiling fans, coin operated laundry, new appliances, off street parking. Be part of the redevelopment of Danville’s downtown west side, just south of the medical district. Totally renovated 2 bedroom garden apartments with private patio. Units are being fully renovated to Illinois Energy Efficient Remodeled Housing Standards, including new exterior energy star windows and doors, all appliances - including refrigerators, glass top stoves, microwaves, garbage disposals, and in the wall AC units. New kitchen and baths, and plumbed for tenant owned stack washer and dryers. Interior includes six panel doors, with brushed nickel hardware, chrome bath and kitchen plumbing fixtures, freshly painted and all new flooring throughout. Exterior includes Locking mail boxes, with security cameras covering common areas, and lighted off-street parking. 2006 & 2008 Alpha Dr.
One and two bedroom garden apartments in south Danville, located on a quiet cul-de-sac setting - just minutes south of I-74. If you are looking for a modern home with value comfort and convenience, these garden apartments fit the ticket. Units were recently fully remodeled to the Illinois Energy Efficient Remodeled Housing Standards. 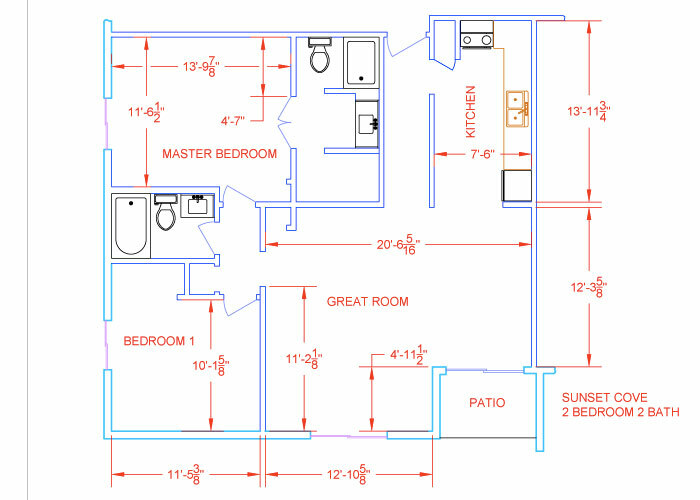 Remodeled units include New Energy Star Doors, Windows, Appliances & Lighting. Additions include new exterior back doors, private patio’s, new Kitchens, Baths, and floor coverings. New Wave Basic Enhanced Cable is supplied to all units as part of the monthly rent - providing greater savings to all residents. Newly constructed Coin-Op Laundry, centrally locking mail boxes, and On site exercise equipment recently added for additional convenience. Exterior building is equipped with security cameras covering common areas. 201 Hegeler - beautifully renovated affordable one bedroom apartment in south Danville. Conveniently located just minutes south of I-74. If you are looking for a home with value, comfort and convenience these apartments fit the ticket. New vinyl, freshly painted, new energy efficient windows and doors, new glass top stove, air conditioned units, ceiling fan, updated bathroom with new vanity & high efficiency toilet, basic enhanced cable included in base rent, off street parking, private locking mailbox, with your own patio. Affordable one & two bedroom apartments in south Danville, conveniently located just minutes south of I-74. 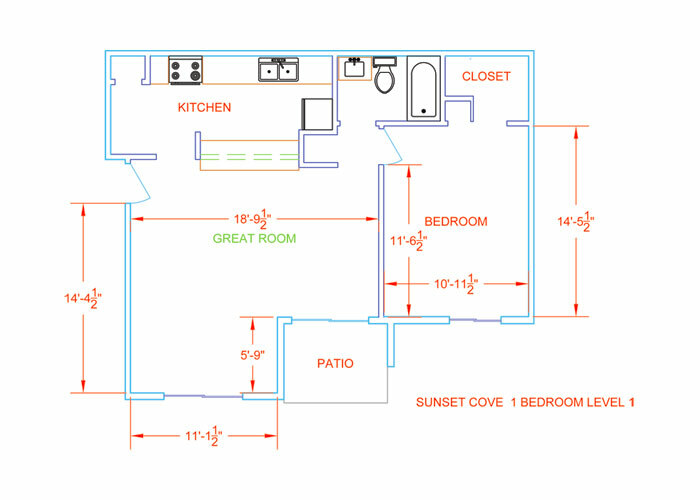 This 5-unit complex has 4 -1 bedroom units, and 1-2 Bedroom unit. The building will be renovated to match our existing buildings at 2006 & 2008 Alpha, as well as directly across the road at 201 Hegeler. Renovations will include elimination of one unit to construct a laundry / mailing center for both 201 & 202 Hegeler, and extensive renovations to match those completed at our other 3 buildings.